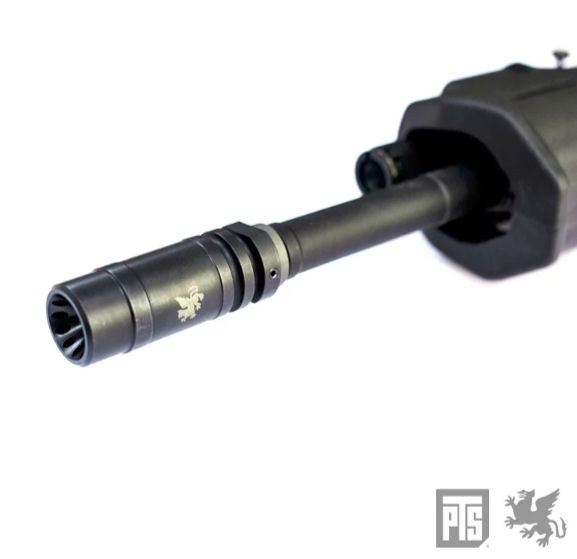 The Griffin Armament M4SD Linear Comp isthe only muzzle device from Griffin Armament without any side ports, thusreducing side blast to other people beside the shooter’s position. 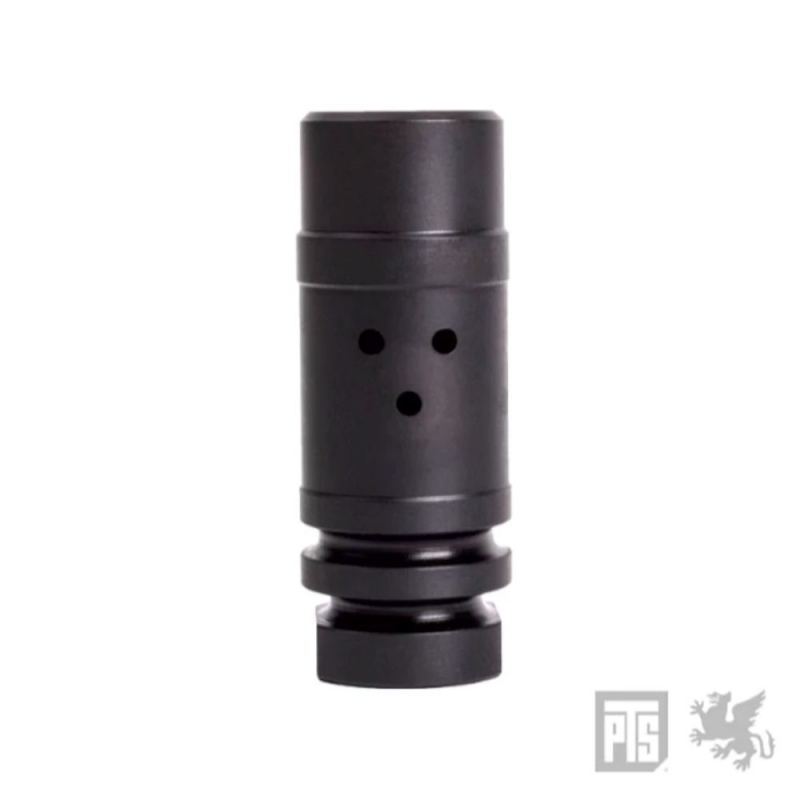 Instead itfeatures three ports on top for muzzle neutrality as well as a de Laval nozzlein front to project linear flow of pressure down range. 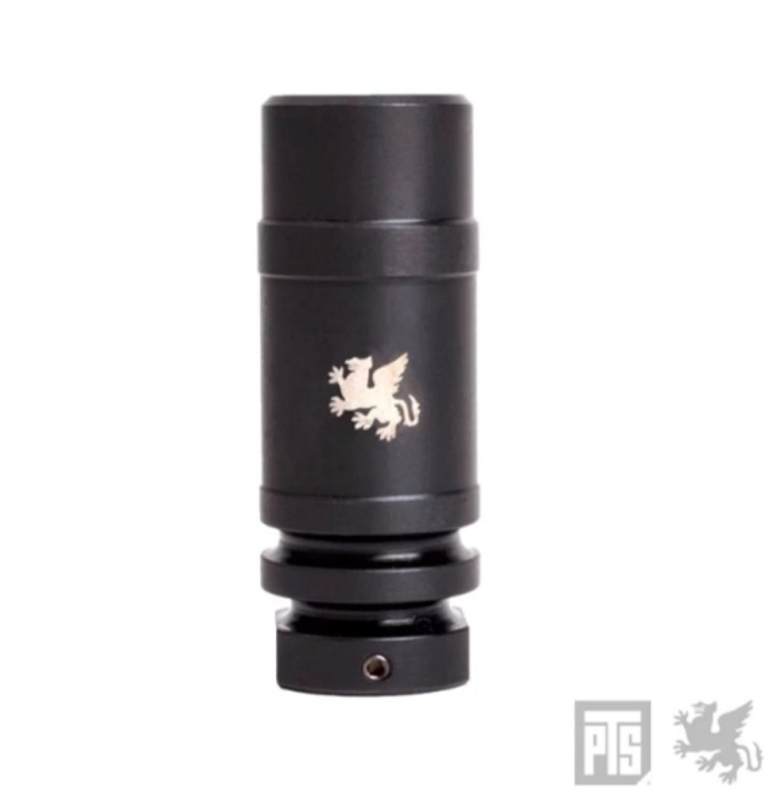 TheAirsoft version has been designed to be compatible with any A2-compatiblesuppressor mount including the PTS Griffin Armament M4SD Suppressor.